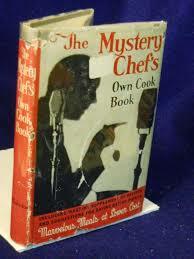 Linda Shenton Matchett: Wartime Wednesday: Who was the Mystery Chef? Although television had been invented in 1927, it was far from being the mainstream item it is today. In fact, very few households had one. When WWII rolled around, the manufacturing of TVs stopped, so radio remained the mass communication tool of government and industry. As such producers recognized that the population would desire entertainment in addition to news and public service announcements. 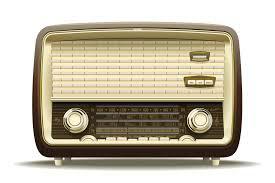 Rather than thirty and sixty minute programs like today, many radio shows ran for a mere fifteen minutes. One of those shows was The Mystery Chef. Airing from 1932 to 1945, it was one of many popular recipe programs. The host, James MacPherson, was a Scotsman who came to the U.S. via England, but he remained unnamed, so the general public had no idea who he was. Speculation abounds as to why he maintained his anonymity. One blog claims it was because his mother would be horrified that he had an effeminate hobby such as cooking. A museum exhibit claims because his family was well-to-do, they would be upset that he was doing such menial tasks. Whatever the reason, Mr. MacPherson was a huge success. In addition to sharing recipes on his show, he discussed cooking on a budget as well as what he called artistry in the kitchen. “Always be an artist at the stove, not just someone who cooks.” He published his first cookbook in 1936: Be an Artist at the Gas Range: Successful Recipes by the Mystery Chef, and followed that up with The Mystery Chef’s Own Cookbook in 1943. Copies are still available on Amazon. In 1949, NBC launched the show one television, but it did not fare well and was canceled after only one season.